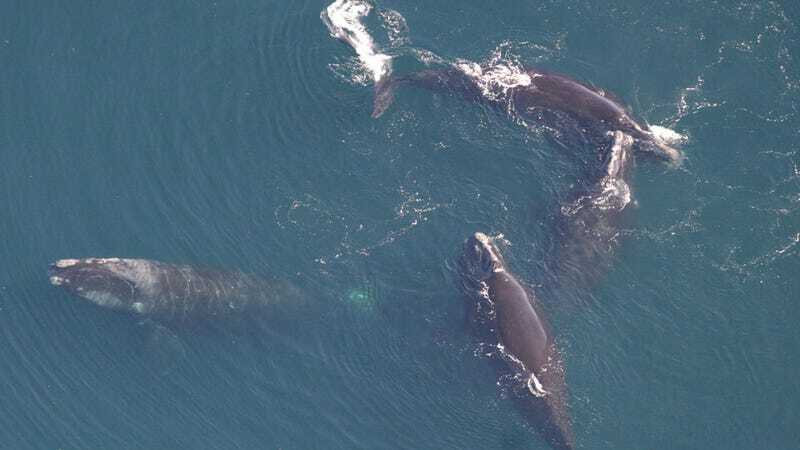 With only a few hundred individuals left, North Atlantic Right Whales are some of the most endangered whales in the world, and this summer, things took a turn for the worse. A series of strandings in eastern Canada and New England has resulted in the deaths of at least 14 whales, which is nearly 4% of the entire species. Other North Atlantic right whales were seen alive but in distress, and it is unknown if these individuals were among the dead. So far, only 5 new calves have been born this year. “These are animals that I’ve had the pleasure of studying and watching for several decades, and it’s incredibly difficult to see them in this state, especially when human activities are involved,” she said. Fortunately, we already know how to reduce whale mortality resulting from fishing gear entanglement and ship strikes. Managers can restrict fishing with certain types of gear in areas where whales are commonly found. Gear can be modified so that there’s less rope for whales to get entangled in, or modified to include rope with “weak links” that break when something as large as a whale hits it. There have also been attempts to make gear more obvious to whales, using acoustic “pingers” or brightly colored rope, so that the whales avoid it and don’t get tangled in the first place. So far, many of these gear restrictions are voluntary in both the US and Canada. To reduce deaths from ship strikes, managers can either keep ships away from whales in the first place, or make the ships slow down so that a collision wouldn’t be fatal to the whale. Lanes have been moved to reduce the likelihood of ships hitting whales in the past, but this can increase shipping time and associated costs, and is often unpopular with industry. If ships can’t avoid whale habitat entirely, reducing their speed can still help reduce the risk of death from a collision. Speed reductions, like gear restrictions, are often voluntary. Experts are concerned by the lack of progress on protecting these animals, given how beloved they are by the public. It is especially frustrating because the threats they face, and the policy solutions to address these threats, have been well known for many years. “While there were an unusually high number of deaths documented this year, there is nothing unusual about right whales being struck by ships or entangled in fishing gear,” Davies said. Dr. David Shiffman is a Liber Ero Postdoctoral Research Fellow studying sustainable shark fisheries in Canada. You can follow him on twitter @WhySharksMatter, where he’s always happy to answer your questions about sharks. Author’s note: interview subject Dr. Kimberly Davies is in the same fellowship program.